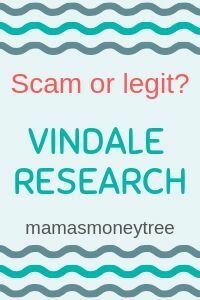 If you are into using survey sites to earn some extra pocket money, then you’re at the right place to check out whether is Vindale Research scam. Will it waste all your precious time completing surveys but end up not getting paid like what happens on so many survey platforms? Or is it an honest company that wants to fairly reward its users for providing their opinions? 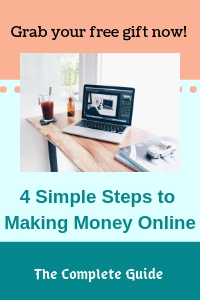 Vindale Research is a legitimate platform that focuses mainly on paid surveys, but with other avenues for you to earn as well, like through watching videos, reading emails, and referring other people, etc. Like any get-paid-to site, it has its fair share of complaints, but feedback on it is mostly positive. Its main drawback is the high minimum cash out amount of $50. 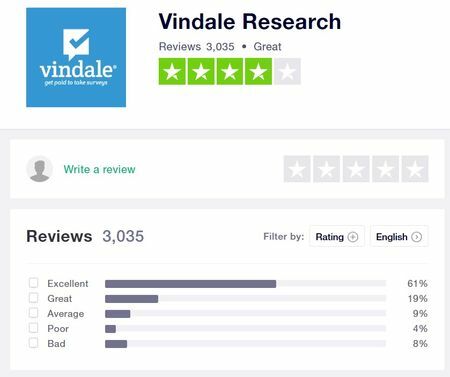 Read on for the detailed review of Vindale Research, and why I recommend it only if you are looking to past time. Vindale Research pays you for accomplishing some easy tasks like reading paid emails, watching videos, interacting on social media, etc. But mainly their focus is as a survey site. They claim to have worked with some of the giants like Netflix, Disney, and Amazon, by getting their consumers’ views and opinions on products and services. Vindale Research is a mature and established company in the saturated market of paid surveys, having been formed in 2004. It must know its business and competition well, in order to have survived that long. With its headquarters in New York, it is currently only available to people in the U.S., the U.K., Australia, and Brazil. So, what makes it stand out from the rest, and more importantly, what are the possible ways that we can make money with it, as well as its payment terms? The signing up process is very simple and straightforward. You just need to provide your email address, or your FaceBook profile. They do not require any credit card details from you. This is a plus point, as there are some shady sites that only want to get information from you, to use it to their benefit, without the real intention of paying you. After getting registered, you will be asked to fill out some demographic information, which serve to allow a good match between users and surveys. Hence, it is strongly recommended to be completely truthful, otherwise you may find yourself getting disqualified from a survey halfway through, thus wasting your time. Companies always need to do their market research on their current products, or before they make any changes, or launch new products. So your views are valuable to them in making their business and marketing decisions. They pay Vindale Research to help them collect the information, data, polls, etc. through surveys. So Vindale Research pay you a small amount to get your views and opinions. The earnings for their surveys range from $0.25 to $50, depending on the length and complexity of the survey. In more complicated topics, or where they require you to test samples of products, the earnings can be even higher. 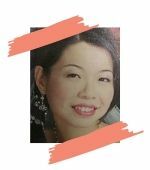 Though this is what Vindale Research claims, but users have found that they sometimes make about $3 per hour’s worth of completing surveys, which is such a low rate, and a constant source of frustration. And then there are the usual complaints that you would get on any survey site: as you earn more, the surveys that are available to you mysteriously dwindle in number. Or you get logged out of your account for no reason. Stuff like that are fortunately experienced by the minority of Vindale Research members. Be active on their social pages and blog, take part in their events like polls, challenges, etc. and pick up the reward codes that you will find, to exchange for cash. 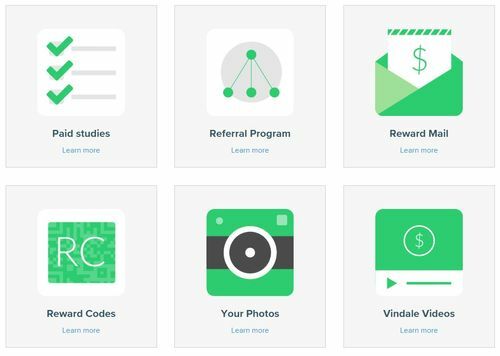 Earn $5 for every person whom you refer to Vindale Research, through your referral link. I find this referral program in Vindale Research not as lucrative as some other get-paid-to sites, which offer you a percentage of all your referrals’ earnings, for the rest of your life. That would work out to be a small trickle of passive income, but at least it’s something, for doing nothing at all. Send in a photo or video of yourself with your Vindale payment, to earn an easy $5. This is quite a nice way to make a bit of money, I guess they just want photo proof of their happy members. Opt in to Vindale’s reward mail program, and you get to earn for every paid email that you open and read. That’s not bad, though the amount is very small, at $0.10 per email or thereabouts. Sounds like another fun thing to do, while earning at the same time. But again, the amount is very little, like about $0.25 per video. Well, you can’t expect too much for simply playing a video right? The cool thing about Vindale Research is it does not work on any point system. Instead, everything is just given a real cash value. So you do not have to do any conversion from points to dollars, like in most other survey platforms. The bad thing, though, is the high minimum cash out being $50. Which means that you must accumulate your earnings to at least $50 before you can cash out. You can get paid by check, or PayPal. So there are lots of complaints that it takes the longest time before you can earn enough to cash out. There are even some instances of the earnings expiring if you wait too long to cash out. It doesn’t seem like a common occurrence, but one instance is one too many. There are also complaints of survey completion leading you to offers of some products, instead of earning you hard cash. Again, it’s not an overwhelming number of people who experienced this, but it pays to be aware, before you decide if Vindale Research is even worth your time at all. Vindale Research has a good reputation so far, I would say. Take a look at the vast number of positive reviews, from a trusted site. Yes, no matter how great a survey site is, there will always be complaints and something negative that people have to say about it. But in the case of Vindale Research, the good far surpasses the bad. The payment terms is straightforward, as everything is dealt with in dollars. It can serve as an entertaining past time, while earning your next cuppa. This is something that stands out, from users’ feedback, it seems that they get tons of spam mails, advertisements, etc. This is a major drawback of Vindale Research, having one of the highest minimum cash out amount in the industry. This can lead to lots of frustration, and the stakes are high too, when members encounter any issue when trying to cash out. To finally answer the question: is Vindale Research scam? The definite answer is NO, it is not a scam. Vindale Research is a legitimate survey platform, with peripheral activities that you can take part in to earn a bit of extra income. It will honour its payment to members, in general. Vindale Research is one recommended get-paid-to site if you just want to relax and not make optimum use of your available time. We all know survey platforms (including Swagbucks, Survey Junkie, Inbox Dollars, and Toluna) can never replace your full time job. What is Traffic Xtractor Ultimate? Scam? Vindale research could be a way to earn money on the side but it cannot bring in sustainable income. The drawbacks of such program is the low income you’ll earn from doing a lot of work. It’s much preferable to register for a program like Wealthy Affiliate where you’ll be taught how to be your own boss. You’re right, it’s no point spending so much time and earning so little. Time that could otherwise be used to build your own online business.